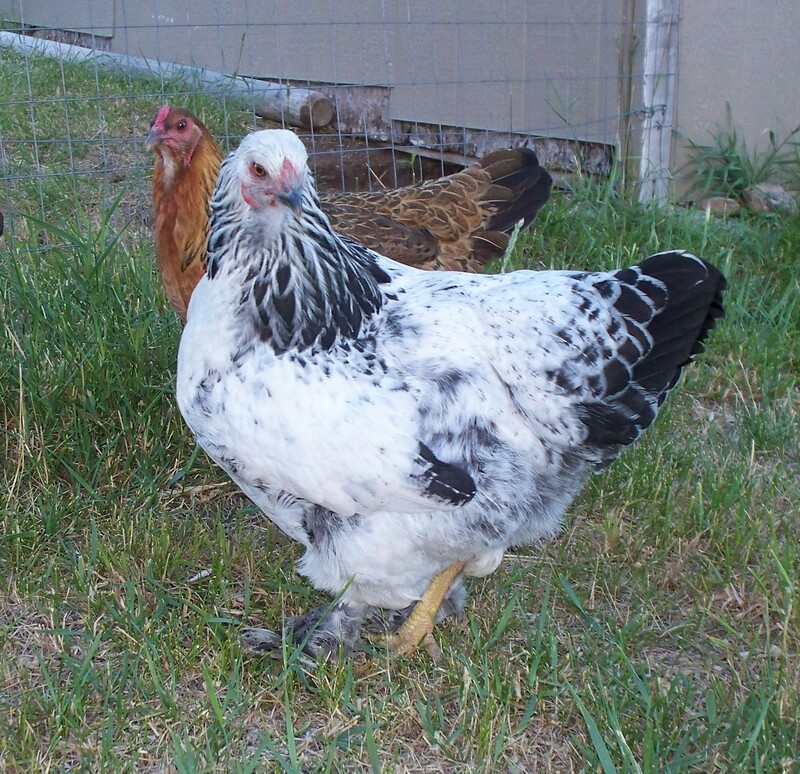 The Partridge Rock was a choice for us because our barred rock laid so well, and I had had some beautifully marked partridge color birds. Her partridge color wasn’t as nice as the Chantecler. She wasn’t very interested in humans, and could be nasty to other birds lower on the pecking order. We did not butcher the fall of 2012 and she is going over the winter until 2013. Verdict: I don’t think I will repeat this breed again. Eggs:She started laying later than other birds, and her eggs are a little smaller than large. 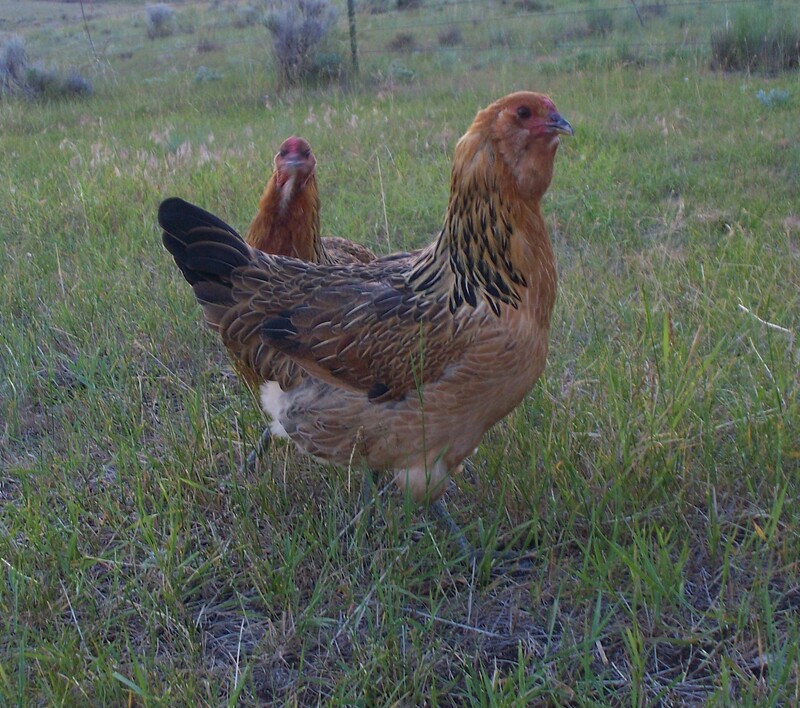 Size: Her size is slighter than the barred rock hens and slight for a dual purpose bird. Vertict: I would not get this hen a second time. Her eggs were smaller and she was broody too often. Fluffy, the Easter Egger, notice the ear muffs and beard. Easter Eggers, called so because of the colored eggs they lay. Easter eggers and a mixed breed of Araunca and something else. Araunca’s are rare and lay true blue eggs. Easter Eggers are common and lay a colored egg: blue, olive, pink and anything else is possible. They generally have ear tuffs and a beard, small comb and lay large eggs. I got them as they are winter hearty with the small comb and I wanted to try some colored eggs. As a mutt their color, personality and size is as unpredictable as a pregnant dog at the pound’s puppies will be. Verdict:Jury is out if I would repeat this breed. I love the colored eggs, they lay well once they started. They were smaller than some of my other birds on the table, and her legs were muscular and hard to cook to a tender state. Fluffy: You guessed it because she has ear muffs and a beard. In 2010 she laid medium sized olive colored eggs, but by the end of the summer her eggs were extra large and more blue. Fluffy started to molt in October of 2011 and as of March 2012 she is still on egg laying hiatus. She ended up laying on March 29th. As much fun as her colored eggs were I question the wisdom of feeding a bird who does not lay half the year. By the end of May she has gone broody, stopped laying eggs again. Curly: Our second Easter Egger got bumble foot, staph infection. We had to cull her for humane reasons, but unfortunately because of the staph she was not ate. It was sad to see such waste. We tried this breed again in 2012. 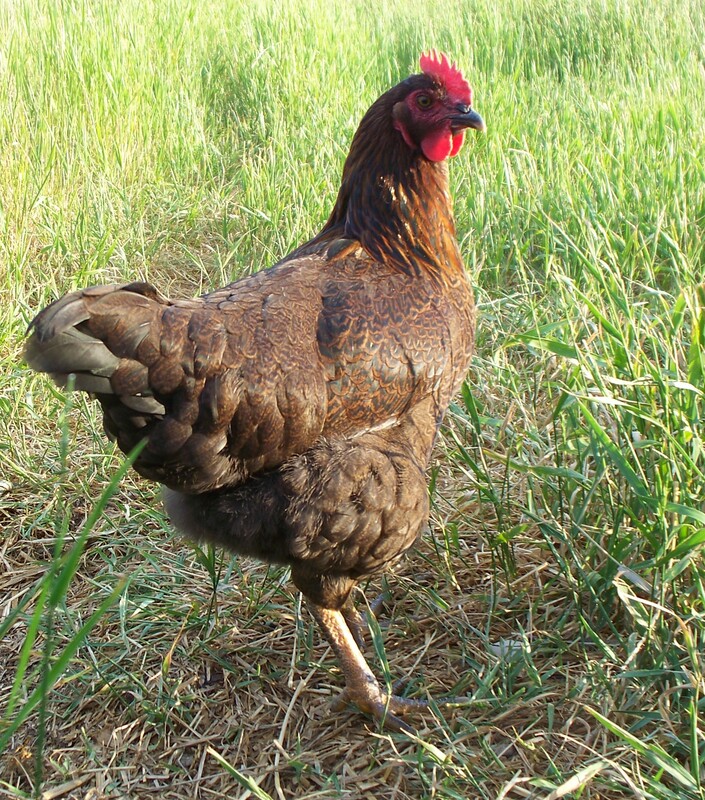 This breed once laid eggs 364 of 365 days in a year. Verdict: Everyone but seems to have good luck with these and I am destined to try it again. Jane Jetson: She was name so because a friend of mine thought her breed sounded Astro the dog in the cartoon show. She should have been a real egg laying machine, but ours was a crummy layer and never really fully feathered out even a year later. Bea the light Brahma, which is really a white Brahma. I choose her because we had such wonderful results with Dolly our Buff Brahma and she did not let us down with her personality. 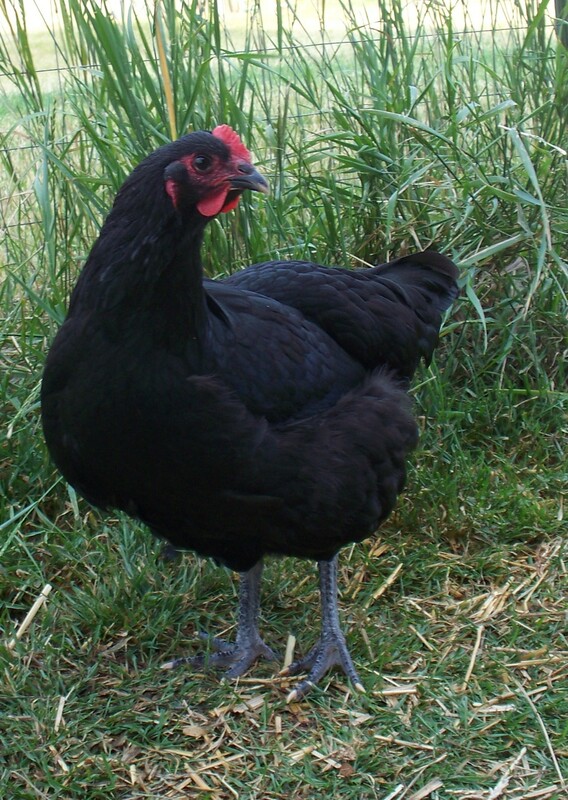 Bea from a breed standards standpoint is about as wrong as a Brahma could be, but that was not a problem for us. Unfortunately her egg laying mechanism was defective and she laid eggs, with each having a weak spot in the same place every time. The soft spot got progressively larger and weaker. In the end we could not keep any of her eggs, and it was time for her to go. Verdict: Not as friendly or as good of a layer as my buff Brahma. I will do Brahmas again but probably not light. Odds caught up with us and we got a rooster this year. He was a partridge rock, handsome and hated our dog. If it were not for that I think he would have made a great watcher of the free rangers for a summer. He went to freezer camp at only 17 weeks. A friend later asked me if I kept any of his feathers. I am sorry now I did not, but what would I have done with them? Verdict: He was one handsome boy. We will do a Partridge Rock again. Her eggs are a little smaller, but she always was a good layer, suffered no frostbite even with a single comb and foraged well. A rooster even a young one is somewhat stringy. My next rooster will use some Adolph’s meat tenderizer before he goes into the pressure cooker. Easter Eggers the jury is not likely. I love the colored eggs, but they have been by far the most sensitive to the length of days. I may try some from a different hatchery. 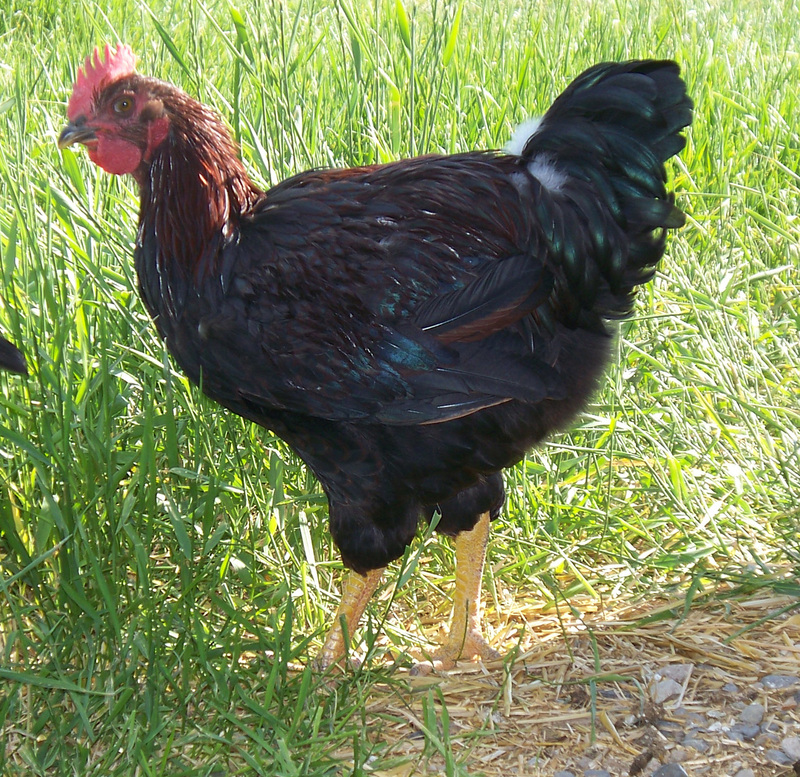 Australorp and Brahma I will try both of them again, despite the lack of success this year. I am marking this all up to the hatchery. I love all the mixture of breeds you have tried. I too have yet to find the ‘breed’ for me but have only been keeping them for just over 2 years.